The family of a prisoner who was allegedly beaten and repeatedly pepper sprayed by prison guards before his death in 2015 have vowed to attend every court date, even if the accused don’t show. The family of a prisoner who was allegedly beaten and repeatedly pepper sprayed by prison guards before his death in 2015 have vowed to attend every court date, even if the accused men don't show. Two Dorchester Penitentiary prison guards, Alvida Ross, 48, and Mathieu Bourgoin, 32, have been charged with manslaughter and criminal negligence causing the death of Matthew Hines. 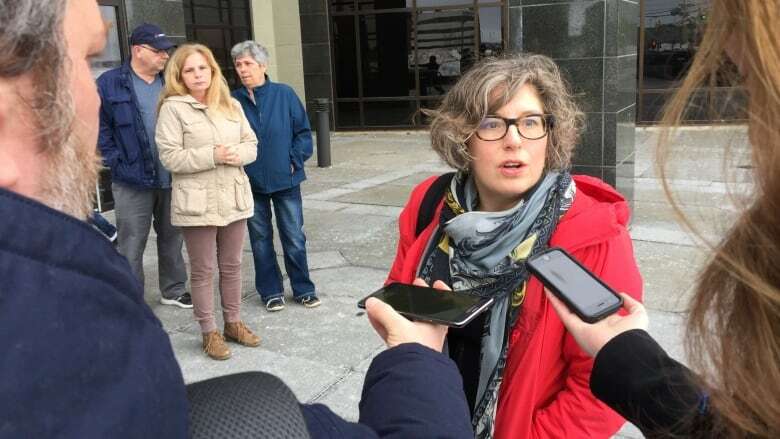 They were expected to enter a plea in Moncton provincial court on Wednesday, but defence lawyer Alison Ménard said the disclosure was "voluminous" and the defence needed more time. The disclosure is about 6,000 pages of evidence stored on a USB stick, Crown prosecutor Marie-Claude McIntyre previously said. Neither of the accused came to court Wednesday or in late February, when the case was also adjourned. The plea hearing has now been adjourned to April 25. The family of Hines, who was from Cape Breton, stood by as their lawyer, Julie Kirkpatrick, spoke on their behalf outside the courthouse. "We have said the family will be here each and every court appearance, regardless of what is expected," Kirkpatrick said. "The proceedings today were in French so the family obviously did not understand what was said, but the Crown has updated us on the next court date and we're very happy to have that information. And we'll be here next time." Danielle Elliott, spokesperson for the department of Justice and Public Safety, said in a criminal matter, the accused elects the official language of the proceedings, and the entire proceeding will be in that language. In this case, all of the court proceedings will be in French. "If a witness is unable to testify in that language, simultaneous interpretation will be provided, for the accused, witness, counsel and court," Elliott said in an email. This means it's at the discretion of the judge whether to provide translation for the family or anyone in court. Kirkpatrick said the family will be asking the question of whether or not the court provides translation. 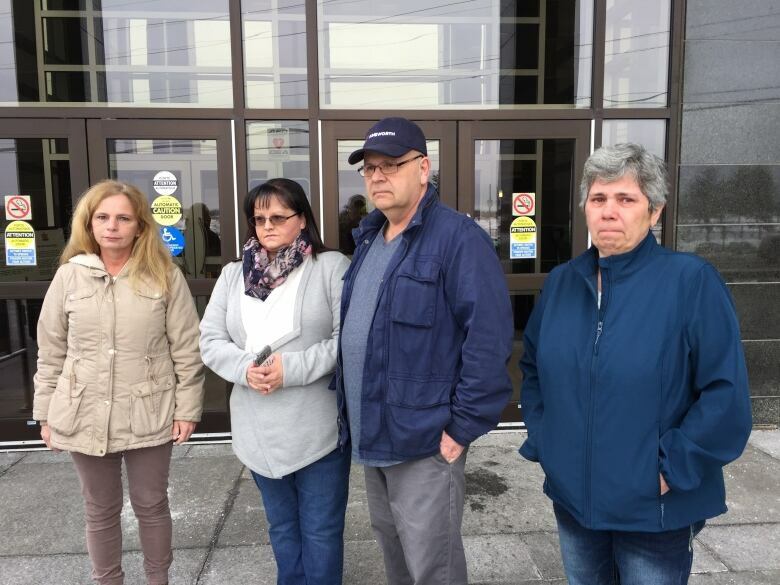 The Union of Canadian Correctional Officers previously said in a statement that it is supporting the two officers "to ensure they have adequate representation, as they are presumed innocent until proven guilty." Ross and Bourgoin were working at the prison on May 27, 2015, when the Cape Breton man was beaten and repeatedly pepper-sprayed by correctional officers. New Brunswick RCMP initially investigated Hines's death and decided no foul play occurred. Nova Scotia RCMP began reviewing the investigation after "additional information came forward" in May 2016. It's not clear what kind of information changed the RCMP's mind or why it wasn't uncovered in the first investigation.